A special program at Sara Bay Country Club at 7011 Willow Street in Sarasota on Friday, Feb 1, 2013 at 11:30 am – 1:30 pm. Our program feature speaker will be Fran Harris who will present a special program about her late husband’s passion about the architecture of Venice, Italy – the capitol city of Veneto where our Sister City of Treviso Province is located. Sara Bay Country Club can provide bar drinks for those who choose at our Sister Cities luncheons. At this luncheon those wanting a wine or other bar drink at the luncheon may give there orders and make cash payment to the waitstaff. For example house wine is $7.50 inclusive. RSVPs, meal selection and $25 payment for the Sister Cities February luncheon are required by noon Wednesday, Jan 30 to meet requirements of the Sara Bay. Meal selections are Herb Crusted Chicken Breast with Roasted Red Pepper or Sautéed Snapper with White Wine Lemon Butter. Join us for a special program at Sara Bay Country Club at 7011 Willow Street in Sarasota on Friday, Feb 1, 2013 at 11:30 am – 1:30 pm. Our program feature speaker will be Fran Harris who will present a special program about her late husband’s passion about the architecture of Venice, Italy – the capitol city of Veneto where our Sister City of Treviso Province is located. This memorial to his great love for Venice has been presented to the Arts Club of London, the Circolo Artistico of Venice and in Bologna, Italy. Details about this wonderful presentation and our new luncheon location are attached. Guest speaker will be Fran Harris who will present a special program about her late husband’s passion about the architecture of Venice, Italy – the capitol city of Veneto where our Sister City of Treviso Province is located. This memorial to his great love for Venice has been presented to the Arts Club of London, the Circolo Artistico of Venice and in Bologna, Italy. Details about this wonderful presentation and our new luncheon below. Scattered in parts of Venice is a group of brick and tile designs dating back to the 11th Century. It is suprising that here, in the most researched city in the world , such a treasure of medieval architecture could have been ignored. My watercolors are designed for accuracy but also to capture the beauty of what I was looking at. I have used a lmited palette of earth colors to bring out the character of the brick. I offer my title, “The Bricks of Venice”, not as a parody of Ruskin’s great masterpiece, “The Stones of Venice”, but in homage. was available on Amazon.com for $500. RSVP, meal selection and $25 payment required by noon Wednesday, Jan 30 to meet requirements of the Sara Bay. Meal selections are Herb Crusted Chicken Breast with Roasted Red Pepper or Sautéed Snapper with White Wine Lemon Butter. 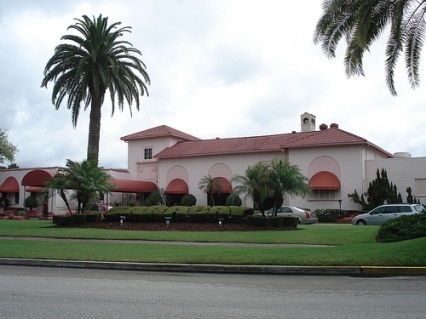 Sara Bay Country Club is a private, member-owned golf club located just north of Sarasota Bradenton Airport. Sara Bay Country Club features an exceptional clubhouse with tasteful décor of the old Florida-style that creates a warm ambiance. It is the venue of choice for the Foreign Affairs Council and the Broadcasters Club of Florida, noted for outstanding luncheons and service. Please make a special effort to attend the special luncheon. It would be extremely helpful for anyone who has already made RSVP, meal selection and payment by check, to reconfirm with President Halbert. Thanks for your support for this event and hope to see you there. The event is open to all members, alliance members and guests. The Luncheon was well attended and the program was excellent. Now that the hustle and bustle of 2012 is over, and before we get lost in the shuffle of 2013, I wanted to take a moment to say thank you. Because really and truly, as President of Sarasota Sister Cities I am grateful. Grateful for each and every person who have dedicated his/her time, energy, money, and passion to making the Sister Cities association of Sarasota so special. Grateful that because the collective action of the passionate, active membership has supported our mission of making the world a better place. Grateful for the words of kindness and encouragement that has motivated all of us to do our volunteer jobs well every day. We are excited about the new membership that has joined us in the past year and hope to connect you with our Sister Cities exchanges in 2013. We are excited about the initial special events that will kick off our 50th anniversary year including the One World Gala in March, the La Musica concert salute to Sarasota Sitter Cities in April and our hosting the Florida Sister Cities State Convention in May. More anniversary events are in the works. We are excited that we will finally have a new web site up and running shortly (we are about 80% there), we are excited about the timely blog and social media innovations we have initiated and we are excited about the travel opportunities available to Russia and Italy in 2013 and to Israel in 2014. But above all, don't hesitate to reach out if you have any thoughts on how we might better serve you this year. All of us are smarter than any one of us. Thank you to everyone who joined us on January 17 for the Sister Cities International Inaugural Gala at the International Hall of Flags, U.S. Chamber of Commerce in Washington DC. Your overwhelming support and enthusiasm ensured that the Gala was a success! 300 guests including congressmen, ambassadors, diplomats, mayors, and citizen diplomats from across the United States and the world also joined us at the Gala as we celebrated the tradition of Presidential support for our organization. Congressman Mike Honda, one of the guests, later wrote about the Gala in a Facebook post, "...The energy in the room and spirit of the event showcased the commitment, passion and strong principles of this network in its efforts to achieve peace and prosperity for all. Re-connecting with these folks on the eve of the Inauguration weekend reminded me just how strong people to people connections are in building goodwill and global understanding...."
Sister Cities International would also like to thank our sponsors MGM Resorts International, Amazon Web Services LLC, Mary Ellen and Mike E. Fox Sr., Mike Hyatt and others for their commitment and support for the Gala. Pictures from the Gala will be posted on our Facebook page www.facebook.com/SisterCitiesInternational soon! The United States Mexico Sister Cities Association (USMSCA) is celebrating its 50th anniversary this year! USMSCA will be celebrating this milestone with a 50th Anniversary Convention to be held in Laredo Texas, February 21-23, 2013. Engage the next generation with the Project Earth-Sister Cities International Challenge! “The Project Earth – Sister Cities International Challenge” is underway through Spring 2013! The Challenge engages the next generation of citizen diplomats through environmental and renewable energy projects. Utilizing the Project Earth online resources and sharing platform and the Sister Cities International network of students, teachers, and schools, this challenge allows young people to work with fellow students in their sister cities to implement sustainable projects focused on mutual environmental problems. Winning team will be awarded $1,500! Second and third place winners receive $500 each! Project must be registered on Project Earth website through their teacher/adult sponsor. For further details on the project and registration instructions, visit http://www.sister-cities.org/project-earth-sister-cities-international-challenge. To view sample projects visit the Project Earth website at www.projectearth.net. Questions? Email info@sister-cities.org. Our media partners at Diplomatic Courier along with the Young Professionals in Foreign Policy have announced that nominations for the “Top 99 Foreign Policy Leaders Under 33 Years of Age” are now open. Now in its third year, “Top 99 Under 33” is a special project that captures the extraordinary impact that 99 diverse Millennials under the age of 33 are making on international affairs. The list and individual profiles of the "Top 99 Under 33" offer insight into the creativity, determination, and passion of the young people who are already tackling the world's critical challenges. Click here to see the 2012 "Top 99 Under 33" list. To nominate a person who has made a clear impact on foreign policy and is recognized as a rising leader, click here. Nominees will be considered for one of these seven categories: influencer, innovator, convener, risk-taker, practitioner, shaper, and catalyst. To nominate yourself or another person, submit the completed form no later than February 28, 2013 by 11:59 p.m. EST. © Sister Cities International. 2011-2012. All Rights reserved. The Florida Sister Cities State Conference will be held May 2-4, 2013 at the popular Helmsley Sandcastle Resort on Lido Key in Sarasota. 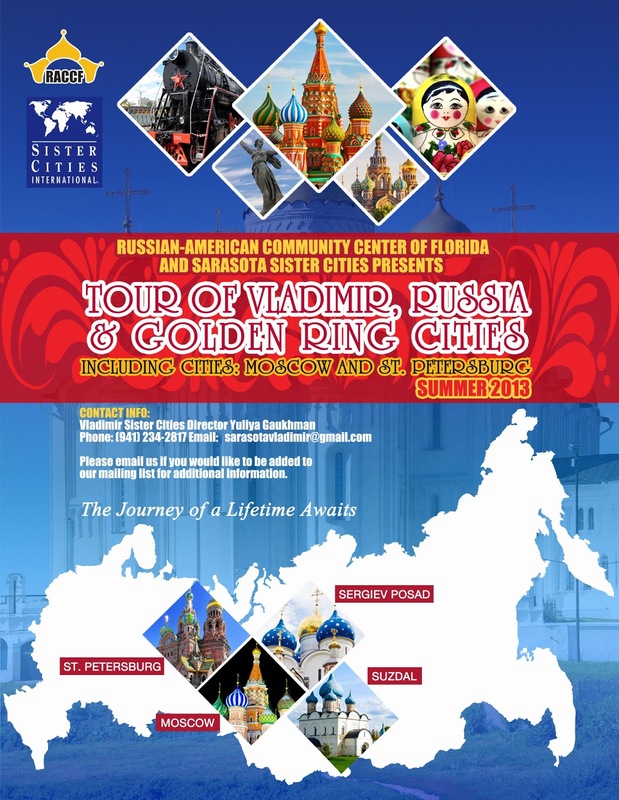 The conference will be hosted by the Sister Cities Association of Sarasota as part of their 50th Anniversary commemoration of their Culture Coast Sister Cities program. Dynamic keynote speakers at the Conference will include Mary Kane, President and CEO of Sister Cities International and David Houle, Resident Futurist of Ringling College of Art and Design who is in demand by Presidents and CEOs of Corporations throughout the US. The conference will begin with a pool side reception beginning at 5 p.m. on Thursday, May 2nd. A full program of topics of prime interest to Sister City members and community leaders will be held on Friday and Saturday morning. Of special interest will be an Authors display where Florida Sister City members who are authors can display and offer their books for sale during the conference. This will be the third time the Florida Sister Cities State Conference has been held at the Helmsley Sandcastle on the sugar-like white sand beaches of Lido Key. The resort décor has been updated with a new tropical look, has two heated swimming pools, two restaurants, pool Tiki bar, indoor lounge with live entertainment, free Wi-Fi throughout the resort, covered free parking, complimentary irons and ironing boards, safes for your valuables, and a complete line of water recreation vehicles (kayaks, aqua-cycles, and sailboats). 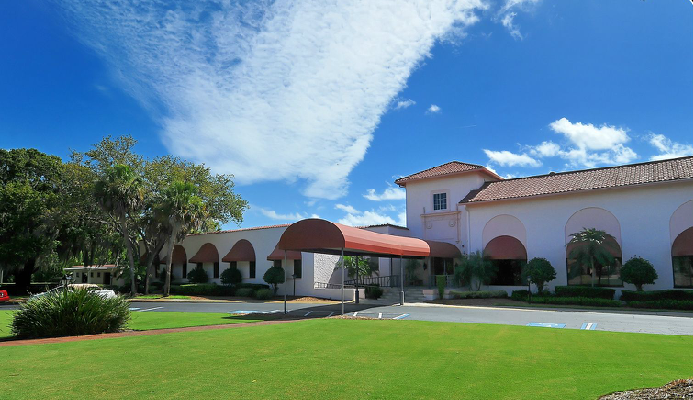 The Helmsley Sandcastle is just minutes away from world famous St. Armand’s Circle shops and restaurants, and the many attractions of Sarasota. Conference registration will begin in late January. However, early birds who may want to ensure group rate accommodations at the Helmsley Sandcastle can register now. Hotel registration information is attached. Note: The Room Reservation deadline is Tuesday, April 6, 2013 or until our room block is full. Use the hotel's direct reservation phone numbers. Just mention the Florida Sister Cities State Conference as the group code. Reservations can be made Monday-Friday between 9 a.m. and 5 p.m.
Group reservation rate is valid for 1-4 persons per room and for 3-days before the conference to 3-days after the conference for those who may to take advantage of Sarasota’s cultural venues, beaches and attractions. Group Rate: $99/night + tax. Note: No daily resort fee will be charged for this conference. 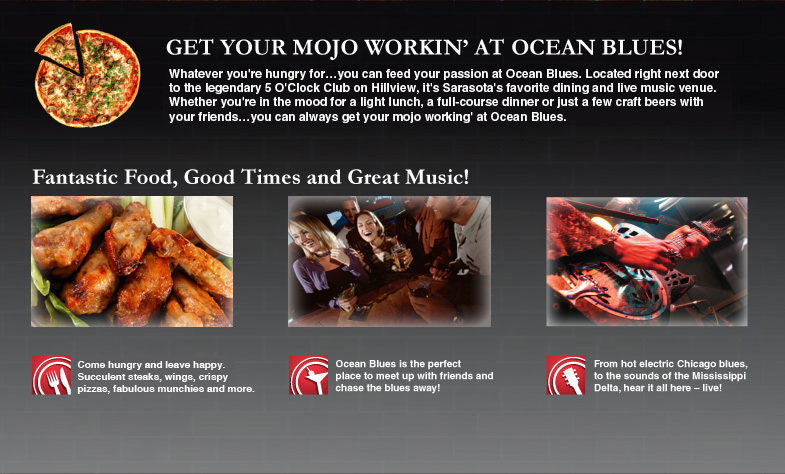 The next Meet & Greet is scheduled for the third Tuesday in January (Jan 15, 2013) at Ocean Blues Grill on Hillview Street from 5-7 pm. Happy New Year to all our members! Wish you a year filled with peace and prosperity! How is your sister city organization celebrating Martin Luther King Jr. Day of Service on January 21, 2013? Make sure to tell us all about it at www.sister-cities.org/submit-your-member-story. Join us next week: Sister Cities International Inaugural Gala! The exclusive Sister Cities International Inaugural Gala is next week! On January 17, come celebrate the inauguration of our Honorary Chairman, the President of the United States at the beautiful International Hall of Flags at the U.S. Chamber of Commerce situated a block from the White House. Doors will open for the Gala at 7:30 pm and there will be live music, with a special performance by the United States Marine Band; open bar; and heavy hors d'oeuvres! General Colin L. Powell; Senators Richard Burr (R-NC), Benjamin L. Cardin (D-MD), Robert Casey (D-PA), Charles Schumer (D-NY), Daniel Inouye (D-HI) (In Memoriam); Representatives Gerry Connolly (D-VA), Lois Capps (D-CA), Jerry Costello (D-IL), Susan Davis (D-CA), Anna Eshoo (D-CA), Richard Hanna (R-NY), Michael Honda (D-CA), Randy Hultgren (R-IL), William Keating (D-MA), Steven LaTourette (R-OH), Zoe Loftgren (D-CA), Michael McCaul (R-TX), Sue Myrick (R-NC), Aaran Schock (R-IL), John Shimkus (R-IL), and Frederica Wilson (D-FL) are on the Sister Cities International Inaugural Gala Honorary Host Committee. So join us for this exclusive event showcasing the important role of everyday citizen diplomats in promoting peace and prosperity around the world! Reserve your tickets today at www.SisterCitiesInaugural.org or call 202-347-8630. Attention Young Professionals! If you are 25 years or under, get your Inaugural Gala tickets at a discounted rate of only $125/ticket! In November 2012, Sister Cities International emailed invoices for members whose membership runs from January 1 - December 31, 2013. If you are a primary or billing contact for your sister city organization and have not received an invoice via email, please contact Adam Kaplan, Membership Director, at akaplan@sister-cities.org. Please note, Sister Cities International will not be sending paper invoices to members this year. Please be sure to renew so you can continue to be a part of one of the largest networks of citizen diplomats in the world and continue to receive benefits from Sister Cities International such as our toolkits and templates, webinars, an individualized profile on our website, access to grants and programs, as well as support from staff and your fellow sister cities members! Members of Sister Cities International may now submit proposed changes to the Governance Committee for review. Bill Boerum, chairman of the Governance Committee, requests any proposals for changes to the Sister Cities International bylaws, procedures, or board policies be submitted byMonday, January 21, 2013 to President & CEO Mary D. Kane at mkane@sister-cities.org, or in a letter postmarked by January 21, 2013 to our main office (915 15th Street NW - 4th Floor, Washington, DC 20005).